EA Sports has announced that FUT Birthday will begin in FIFA 19 this Friday and it will celebrate 10 years of Ultimate Team. The hugely popular mode began as a paid add-on in FIFA 09, growing in scale and popularity over the past decade. FUT Birthday promo events have run for the past few years and they tend to look back at some of the best or most memorable cards that the game has ever seen. Fan favourite and overpowered legends are brought back into the spotlight. 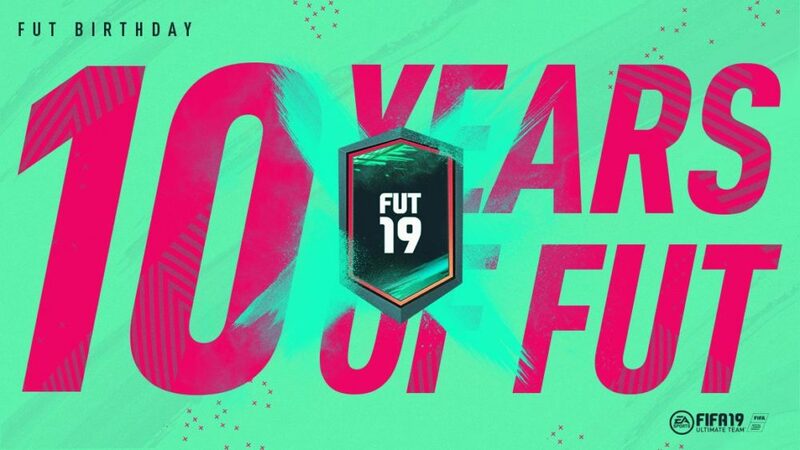 EA Sports has said that they will reveal more information about FIFA 19’s FUT Birthday promo tomorrow, March 21, but you can expect it to look back at the best moments of Ultimate Team’s 10 years of existence. Alongside a whole host of exciting players in packs, you can expect SBC player challenges, themed puzzle SBCs, new Prime Moments Icons, and Weekly Objectives players to earn. Hopefully they will have some surprises up their sleeve too, to mark the milestone for the series. FUT Birthday will begin in FIFA 19 on Friday, March 22. Be sure to check with Twinfinite for more on the event as it’s revealed and tips on how to get the players on offer.